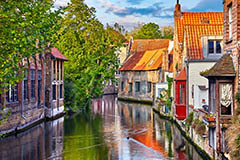 Coach holidays to the beautiful city of Bruges is great way to see real Belgium with its canals and cobbled streets. We have a good choice of delightful short breaks to Belgium at affordable prices. Most of our popular coach tours to Belgium include visits to towns like Bruges, Ghent and Ostend. 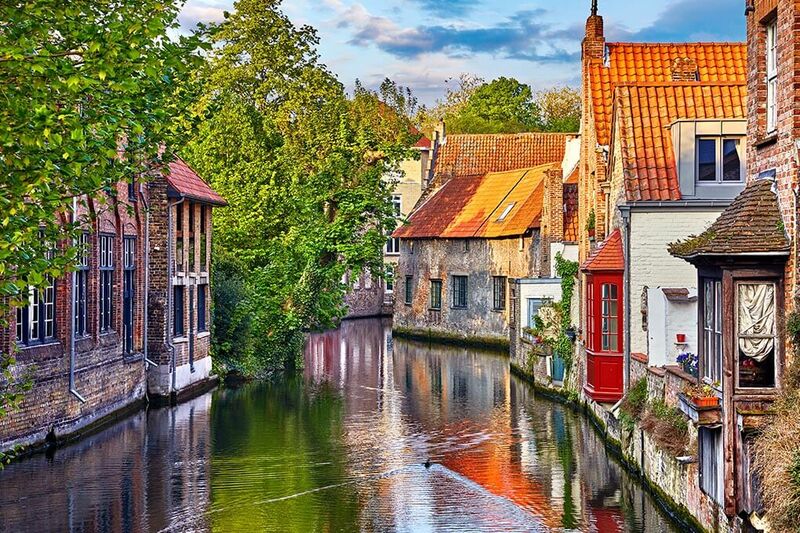 "The Venice of the North” With its multitude of canals throughout the marvellous old city centre, which is an approved World Heritage Site by the UNESCO, the small town of Bruges offers a romantic experience. The beautiful historic architecture provides for wonderful breaks at this charming city which is one of the most popular destinations for coach holidays to Belgium. During the festive period short breaks to Bruges get even more popular, as you can enjoy Bruges Christmas Market along with its cobbled streets and chocolate shops in the Old Town! Bruges coach holidays are a great way to visit the sights of the stunning historic city. The main points of interest of a coach trip to Bruges are as featured below. The historic centre of Bruges has been a UNESCO World Heritage Site since 2000. The 122 metre Church remains the tallest building in town dating back to the 13th century. The Madonna of Bruges is a marble sculpture by famous Michelangelo. The belfry formerly housed a treasury and the municipal archives and is now accessible by the public through a steep staircase of 366 steps. Whenever you choose a coach holiday to Bruges you are sure to see many sights and attractions at this amazing county. If you cannot find a suitable coach holidays to Belgium contact us and let our experienced travel agents help you find your perfect coach trips to Belgium or any other destination in Europe.